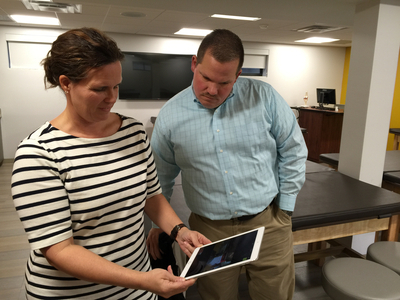 Dr. Shelley Payne demonstrating our classroom technology to alumni Chris Troyer during an open house for the HSS building. Boose, Annette Harting, "Allied Health 31" (2016). All Health and Sport Sciences Images. 314.